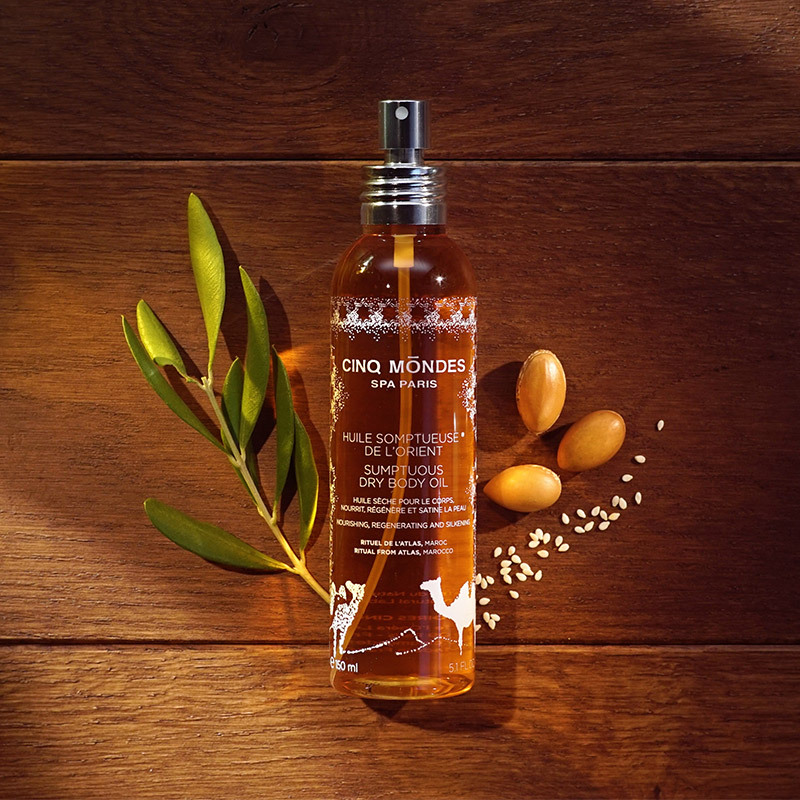 Protect your skin from the cold with this dry oil and its intense and enveloping fragrance. 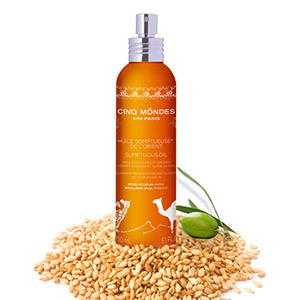 The combination of Argan, Sesame and Olive oils in Cinq Mondes’ Sumptuous Dry Body Oil deeply nourish and regenerate the skin leaving it feeling satin-smooth. Ideal for dry skin!